Youth small groups meet every Wednesday evening. The schedule is listed below. 6:30 PM - 7:30 PM: Small Group Study - Youth small groups are separated by age (Middle School and High School) and gender. And so, dear brothers and sisters, I plead with you to give your bodies to God because of all he has done for you. Let them be a living and holy sacrifice —the kind he will find acceptable. This is truly the way to worship him. 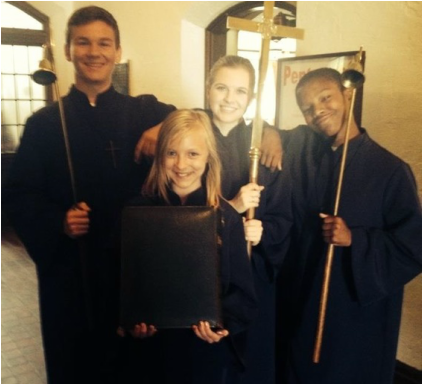 ﻿Every Sunday evening, the youth will organize and lead a worship service for children and families. The youth will lead the children in prayer, worship songs, and a devotion based on the Children's Ministry curriculum, FaithWeavers.